Does your dog listen to your commands almost perfectly indoors, but then “goes deaf” outside or when distracted by something? This is a common complaint – and misconception – of many of my clients. 1. Outside is sensory overload, especially for young dogs or rescues getting out into the world for the first time. With so many sounds, smells, sights and things to be distracted by or even scared of, your dog has no room left for processing your voice. 2. Once dogs are 100% responsive inside, then you need to add distractions indoors, and THEN you can go outside with mild distractions to practice. You need to build up slowly. And, if your dog hasn’t gotten straight A’s in grammar school, don’t expect him to be an instant college star! Here is a list of what to expect at different levels of work with your pup, and a video that demonstrates these levels and gives you some ideas that you can try with your furry student. Basic commands* indoors with no distractions. Basic commands outdoors with slight distractions (birds off in the distance, a few hundred feet from a fenced in dog park, etc.). Advanced commands with little to no distraction. Basic commands outdoors with distractions nearby (bike or skateboard whizzing by, kids running up to you, dogs sniffing your dog, etc.). Some advanced commands with moderate distractions. Off leash commands with no distractions (e.g. empty fenced in dog park). Off leash voice control with some common distractions (e.g. other dogs, birds nearby), basic & advanced commands in any common circumstance with common distractions. Complete off leash voice control in all situations and any commands in any circumstance, even in new or chaotic situations. *Advanced commands – stay under any circumstance, commands at long distance, drop any item, pick up any item, agility commands, tricks, etc. Here is a short video demonstrating some of these levels. It will give you some ideas of what to try with your dog. 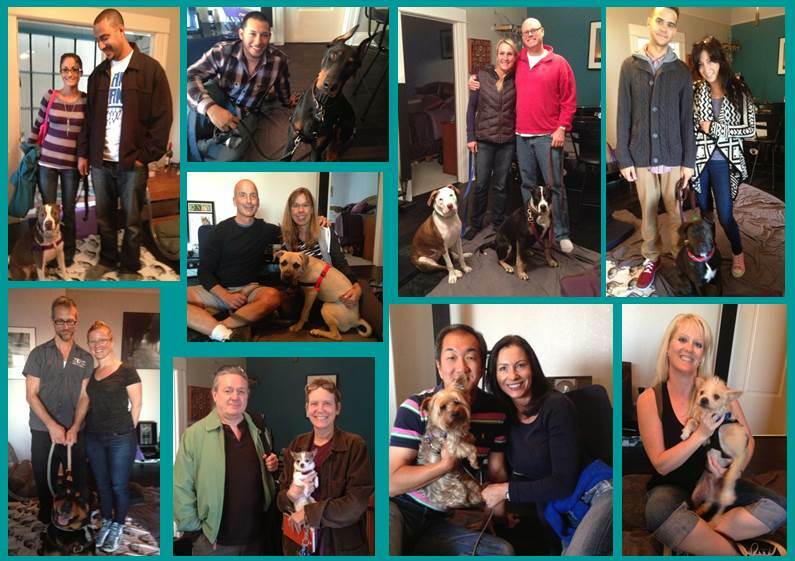 If you’d like to have the best dog obedience training in the San Francisco Bay Area, give us a call! We have trained over 2,500 happy dogs & their people! We can help you and your dog too!